New course and a new relationship. 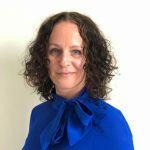 In 2008 Faith Hagerty, a drama teacher at St Augustine’s Priory, decided that she wanted to bring drama, dance and music to more of Ealing’s children. Yourstage Drama (then Yourspace) was born. Now, 10 years on, Yourstage runs Summer and Easter courses as well as Saturday morning term time courses at St Augustine’s Priory where Ms Hagerty is now Director of Priory 6. To celebrate the 10th anniversary Ms Hagerty decided she wanted to create a new and exciting teens course and this Autumn Yourstage is launching their first Acting for Film and TV course. The course will not only end with the showing of a film made by the students during the course but will also include fantastic workshops given by industry professionals including West End Director Mark Bell (The Play That Goes Wrong) and Casting Director Francesca Fearis. This course is a must for any local 11 to 18 year olds who are thinking of following their acting dream! Yourstage’s aim is to support all their students build their confidence through the creativity they develop throughout the courses. Students are encouraged to concentrate on whatever area they prefer, whether that’s centre stage or back stage. Another way Yourstage is marking this special anniversary is by developing a relationship with the Honeypot Children’s Charity. 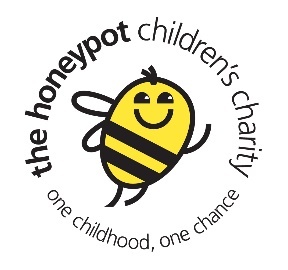 Honeypot aims to improve the lives of vulnerable children by giving them annual respite breaks in the New Forest, visits from their Playbus in their home communities and Christmas presents. 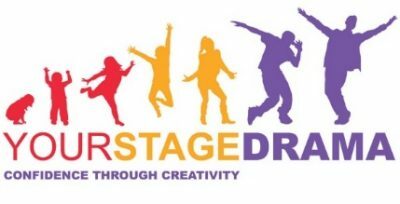 Yourstage is offering a free place on each of their courses for Honeypot to offer to their young carers and vulnerable children and is delighted to be able to offer the charity a different form of respite for a child who is interested in drama and performance. 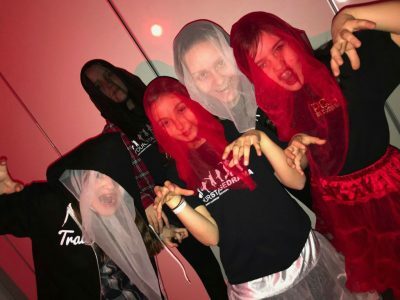 They have just had their first Honeypot attendee, Aliyah Sessay aged 9, who took part in the West End Wonder summer course and had a wonderful time. 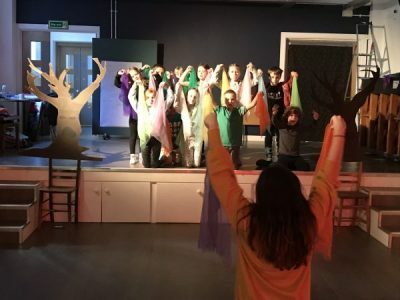 Faith Hagerty is thrilled that from an initial idea of a one-week summer course ten years ago, Yourstage Drama has grown into a continuingly growing and developing drama school for local children. Yourstage Drama offers Saturday morning and school holiday drama classes. It offers courses for their Tots, aged 3 to 5 years, Toos, aged 6 to 10 years and Teens, aged 11 to 18 years old. Each course ends with a lively show packed with drama scenes, poetry, song and dance, where every child is encouraged to shine in the area they want to.